Summit Cove - Save. Always a great deal and savings for Mountain Sports Club Members. Limelight Hotel Aspen - save up to 30% on packages. Accommodations Vail Beaver Creek - Save up to 25% off on Lodging. Summit Cove - Save, always huge discounted lodging for members. Crested Butte Mountain Resort - Save 20% off lodging Summer 2018. Limelight Hotel Snowmass - Save up to 30% off packages and stays. Mountain Resorts Inc. - Save on direct booked lodging. Wallace Inn - Book direct and save on ski and stay packages. 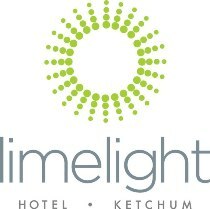 Sun Valley - Save up to 30% off lodging and ski and stay packages at the new Limelight Hotel in Ketchum. The Bethel Inn and Resort - Various discounted ski, golf and stay packages and promotions with great savings throughout the year. The Mountain Club at Loon - Save up to $150 with discounts on lodging. The Royalty Inn - Ski & Stay packages for Attitash, Wildcat & Sunday River. Whisper Ridge Backcountry Resort - Save $200 on a luxury Yurt with a full priced snowcat or heli-skiday. Alpenhof Lodge - Save on up to 20% off direct bookings. Teton Springs Lodge & Spa - Save up to 25% off on Lodging. Save on Ski and Stay packages and luxury upgrades. Heli ski packages available as well. For information on how you can add or update your property listing, please see our property listing section.